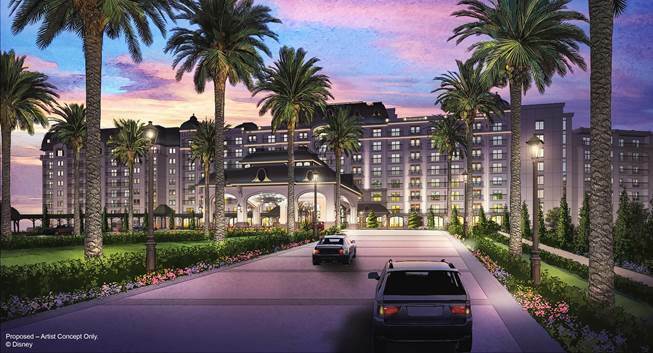 Opening December 16, 2019, Disney's Riviera Resort is the next Disney Vacation Club resort at Walt Disney World. The Riviera, with approximately 300 guest rooms, is currently under construction adjacent to Disney's Caribbean Beach Resort. While details are sparse, we're expecting the Riviera to be configured somewhat like Bay Lake Tower, with a similar high rise feel. While Bay Lake has a top floor bar with Magic Kingdom fireworks views, Riviera will have a rooftop restaurant that will offer views of fireworks at Epcot and Disney's Hollywood Studios. As for the theme of the new Riviera hotel, it's hard to tell due to only a few pieces of concept art being released as of this time. We expect guest rooms to be similar in appearance to recently renovated rooms at Disney's Pop Century Resort and Disney's Caribbean Beach Resort. 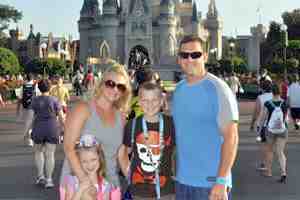 Riviera is a Disney Vacation Club (DVC) resort, with apartment-like accommodations rather than traditional hotel rooms. It features a mix of Tower Studio, Deluxe Studio, 1-Bedroom, 2-Bedroom, and 3-Bedroom "villas." Deluxe Studio villas look much like regular hotel rooms, but with one Queen bed and a fold-down Murphy bed and the addition of a small kitchenette featuring an extra sink, microwave oven, and toaster. The 1, 2, and 3 bedroom villas all include a full size kitchen with a larger refrigerator, microwave oven, standard oven, cooktop, a laundry washer and dryer, dishwasher, and a supply of cookware and dishware. Making real meals is certainly possible in a DVC full kitchen. The Tower Studio rooms are a new type of accommodation, introduced at Riviera. These smaller rooms are designed for two, which is how many they sleep. 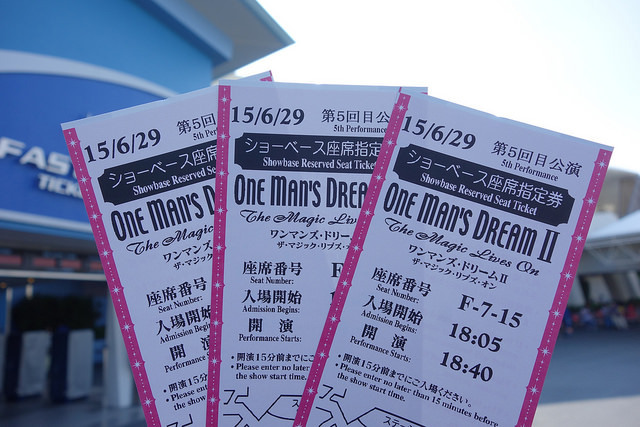 They still include balconies but they are more compact and intimate (meaning smaller). One-bedroom and 2-bedroom DVC units have a living-room area with pull-down sleeping surfaces and a bedroom or bedrooms with regular beds. There is at least full bathroom for every bedroom with a shower and a soaking tub. The 3-bedroom Grand Villa units include all of the above, plus an additional bedroom and bathroom, as well as other amenities like an expanded living room or a dining room. The Grand Villa can sleep up to 12. 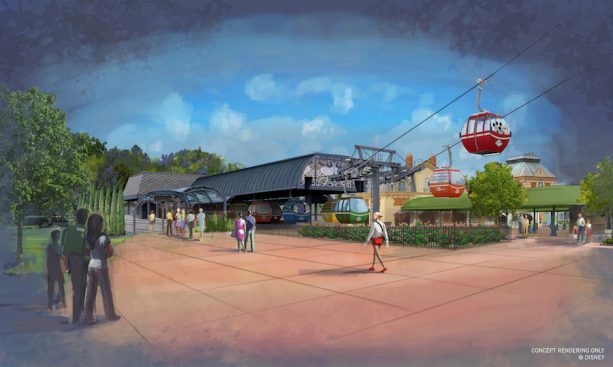 Disney's Riviera Resort will have easy access to Walt Disney World's upcoming Skyliner gondola transportation system, which will take guests to and from the Epcot and Disney's Hollywood Studios theme parks. With its own Skyliner station, the Riviera will also have easy access to Caribbean Beach, Pop Century, and Art of Animation. Walt Disney World bus transportation to the remaining theme parks, two water parks, and Disney Springs will also be available. The showpiece restaurant is Topolino's Terrace - Flavors of the Riviera perched on the roof of the Riviera tower with amazing views of both Epcot and Hollywood Studios. Other dining options include the Primo Piatto quick service, Le Petit Cafe coffee and wine bar, and Bar Riva at the pool. Riviera contains three pool areas. The feature pool sits between the building and the lagoon, with S'il Vous Play, the child play area, adjacent to it. Nearby is the quiet pool, called Beau Soleil. There is also a fitness center available for resort guests.